All the visitors are required to register online for exhibition entry. An exhibition that brings together the drugs, pharmaceutical and healthcare industry – all under one roof. One of the largest showcase of Indian pharmaceutical products and technologies to a global audience. 700 overseas buyers from focus areas are being invited to participate in the exhibition. 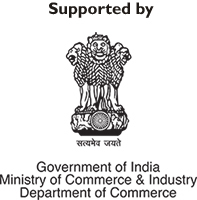 It will offer the industry majors from India and all across the world a great platform to connect and do business. It will provide you with an opportunity to meet new and existing customers actively looking for new suppliers, or looking to assess the current progress of existing projects.